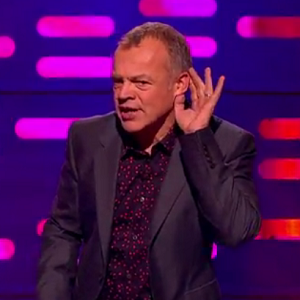 Graham Norton isn’t happy about the latest addition to the Eurovision Song Contest. This year’s contest, which is set to take place in Vienna next week, will feature a new entrant in the form of Australia. The special one-off participants were announced earlier this year, and Guy Sebastian is set to make the 18,000 mile round trip to represent the country. However, Graham Norton did not sound too impressed about the addition when talking to reporters at the BAFTA TV awards last night. If Australia win the contest, it will be held in a European city in 2016 in partnership with the Australian broadcaster. He also repeated his claim that Eurovision will be “quite straight” this year – bemoaning the lack of camp and kitschy acts. The Eurovision semi-finals are set to be held on May 19 and 21, with Great British Bake-Off judge Mel Giedroyc joining Scott Mills for the commentary. The Grand Final will be commentated by Graham Norton on May 23. Last year’s winner, drag queen Conchita Wurst, will serve as a green room host. The UK’s entry, Electro Velvet’s ‘Still In Love With You’, has previously been compared to a vintage waffle ad.